Looking for an everyday wine? This Tradition harvest will delight you! This wine blends every red grape varieties cultivated on the property (merlot, cabernet, sauvignon, cabernet franc). Fruity flavour and a smooth body. Red fruits aromas sometimes mingle with liquorice taste. Let you seduce by this Prestige harvest, mainly elaborated with Merlot. It is produced for 12 months on a park ok oak barrels, partially renewed every year to give a delicate and subtle oaky taste. Its elegance and fruty flavour is best served with grilled meats and cheese. Discovered our special harvest, blended from our best parcels and matured for 12 months in brand new oak barrels. This wine has a strong aromatic scope, slightly toasted and leaning towards candied fruits and prune. This wine will greatly match strong flavours such as stews, games, fine cheese, savoury and sweet dishes. 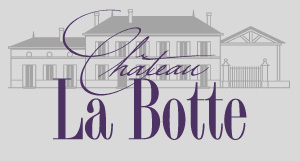 This new cuvée is a wink to the history of the property and wines of Bordeaux. Its aging in tank and on the lees as well as its assembly (50% Merlot, 50% Cabernet Franc) you bring on new flavors. To drink within 5 years.